We are very proud to announce the first of our "Media Library" series of Spotlights - ADVERTISING ! 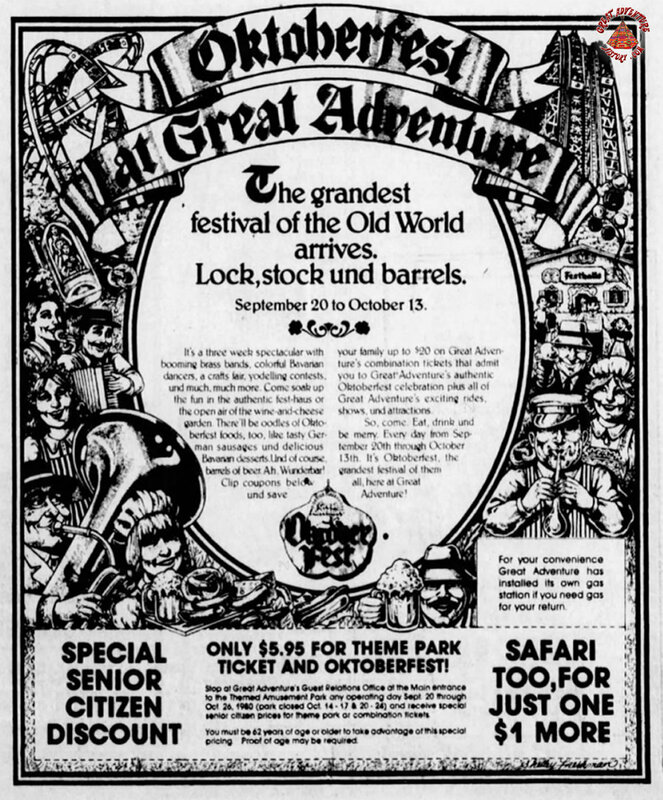 Visit the link below to view over thirty vintage Great Adventure television commercials since the 1970's. In addition, we have a large selection of print ads and radio advertisements available for your viewing pleasure. If you have any additional commercials, we would love to hear from you. We hope you enjoy the Advertising Media Gallery! Please make use of the comments and "Star Ratings" that accompany each video to share thoughts on your favorites. Great spotlight. Out of all the retro commercials, the only one remember was the Medusa commercial. Can't wait to see what you guys are rolling out for those "every ten days". Once again, an incredible representation of the park's past. I was surprised, however, to not see the 1975 color print advertisement that appeared in McCall's magazine. If you do not have it, let me know and I will be happy to send you a copy of it. ^ Oh yeah!!! Forgot about that one, but we will add it. Daved, do you happen to know what issue (date) that article was published in McCalls? EDIT: This great ad can now be viewed HERE. 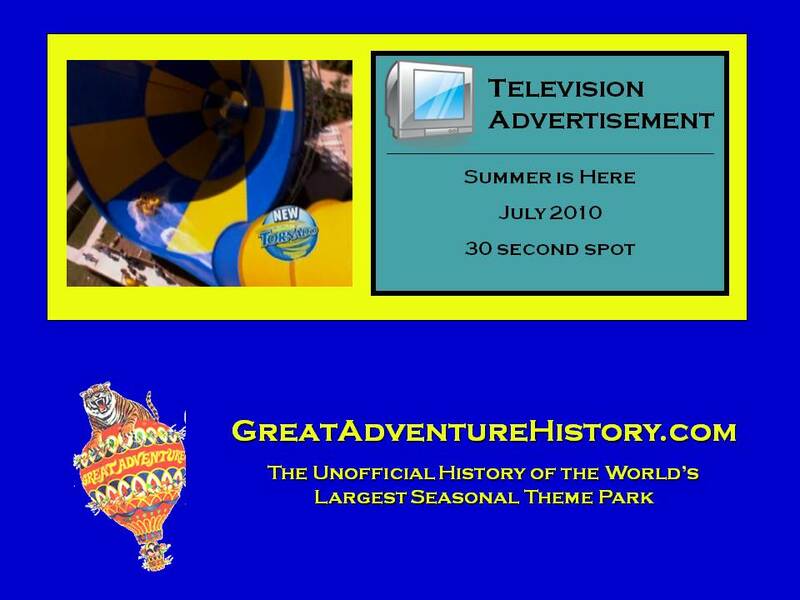 The number of Great Adventure commercials now on TV has really died down compared to summer. In July and August commercials were on almost every hour on one channel or another. It has been quite some time since I have seen one. Mark Shapiro was kidding when he stated that they were investing heavily in peak season advertising. WOW! 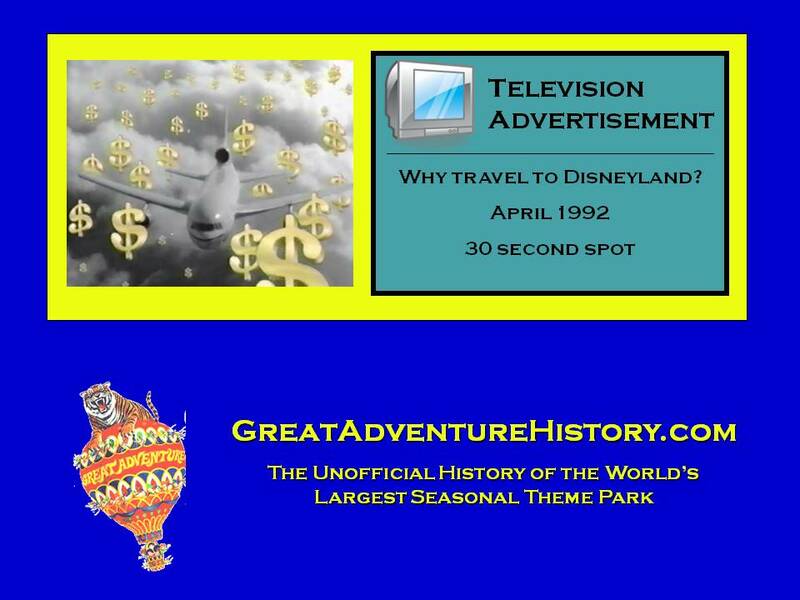 Our Great Adventure Media Library now contains forty television commercials, including 30 spots from the 1970's, 80's, and 90's! Click below to see our latest addition. Even more commercials...more fun! Check them out! 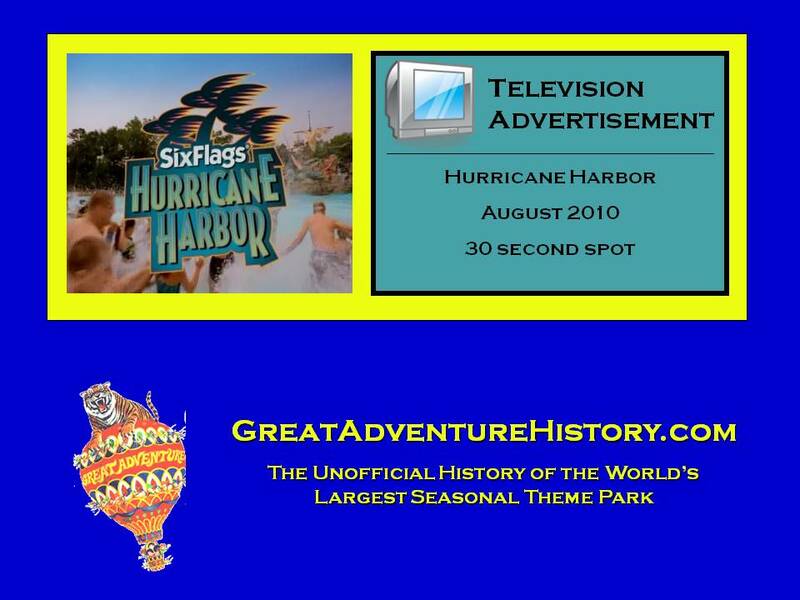 Great Adventure TV Commercials Count: 46! of television commercials for everyone to enjoy. If you have any ads that you can share with us please let us know. Only have it on a video tape? We can convert it! You can click HERE to send us an email! 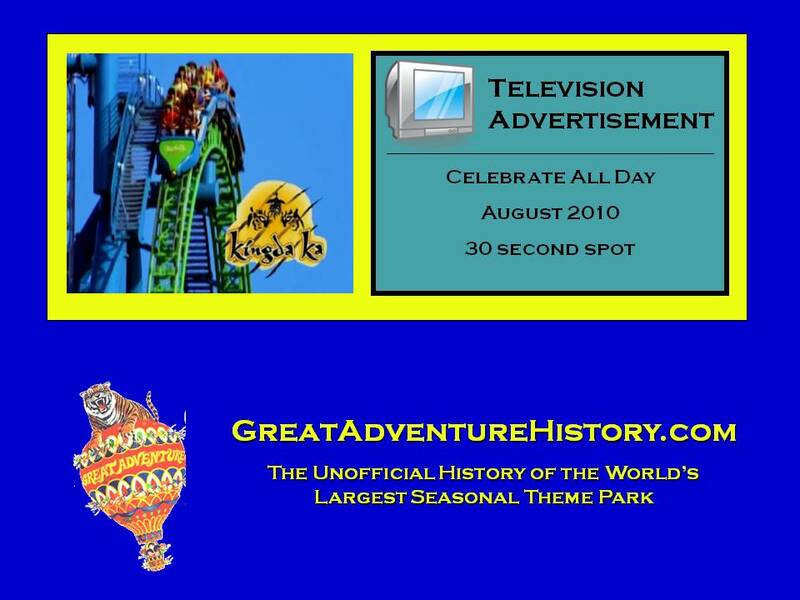 Great Adventure TV Commercials Count: 47! Just added.... Click the image below. 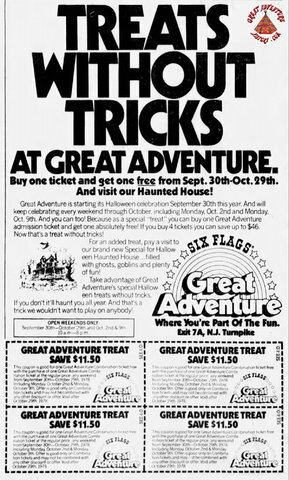 Great Adventure TV Commercials Count: 49! 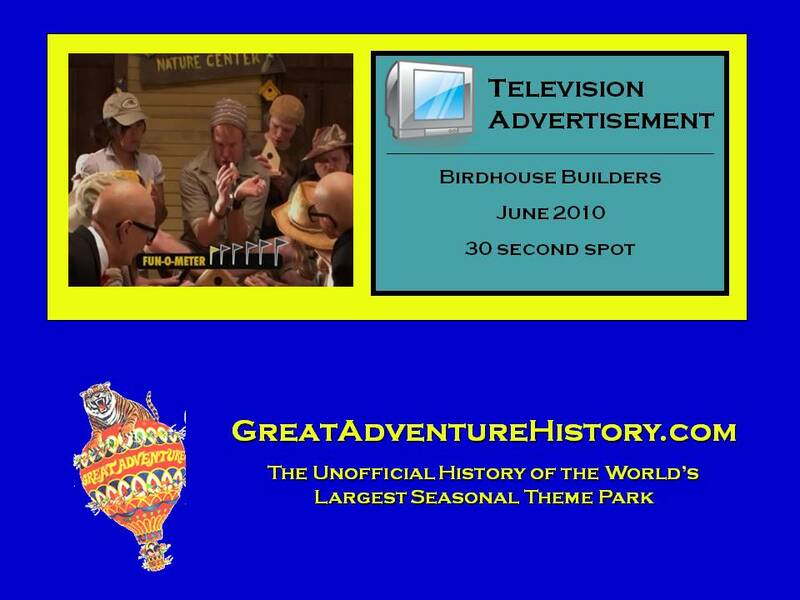 Two more commercials from 2010 have been added to our library! Fifteen "new" commercials have just been added to our Television Advertisements Gallery. Take a trip down memory lane and check them out! We learned something interesting while at dinner on Tuesday night. Warner Brothers and Green Lantern have a special promotional contract with Pepsi. As you know Six Flags is a "Coke" company so anytime the park advertisements references Coca Cola, they have to refer to Green Lantern as the "new stand-up coaster" and not by the name Green Lantern. 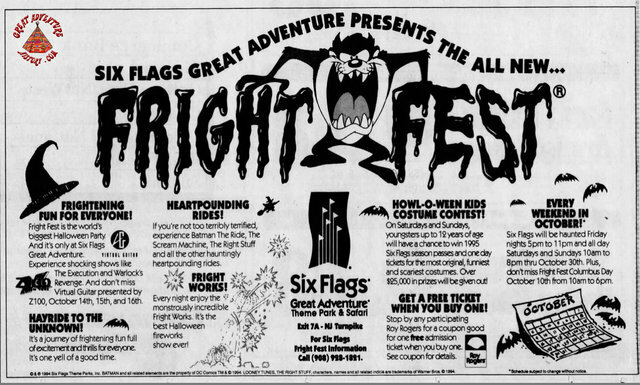 The earliest commercial for the season referenced the ride as Green Lantern, but the latest one which advertises opening weekend and Coca Cola discounts calls the ride by a generic "stand-up coaster"! This will continue for the rest of the season. That is pretty interesting. I remember a while back that Green Lantern document that first said SF would infact be making a GL themed coaster, it also mentioned that they were partnering with Mountain Dew to promote GL. Mountain Dew is owned by Pepsi Co.
Will they show the logo for Green Lantern like they did in the first commercial? No, they can't use the logos or the word's "Green Lantern" - nothing referencing the character or movie. Thanks to Thunderbolt, there are two new Green Lantern commercials! 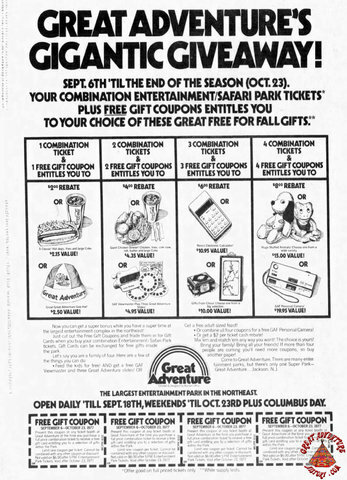 That brings our Great Adventure Commerical Collection to: 67 Commercials! If anyone has an opportunity to grab any copies of the Safari Off Road Adventure commercials and can send it to me, I would be most grateful. 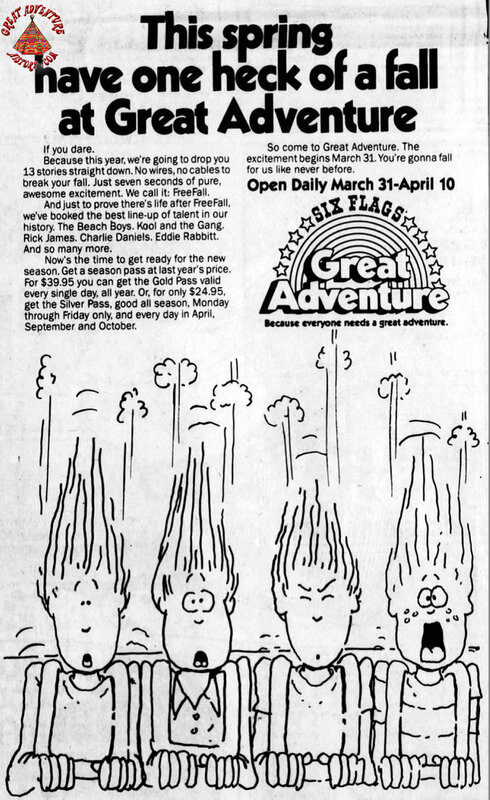 We are once again on the hunt for Great Adventure television commercials. If anyone has a chance to record any of this year's ads off tv we would love to add them to our gallery collection. Oh! That is the 1980 version! We don't have that one...until now! Interesting to see the Super Car in the commercial. It was removed in 1979. 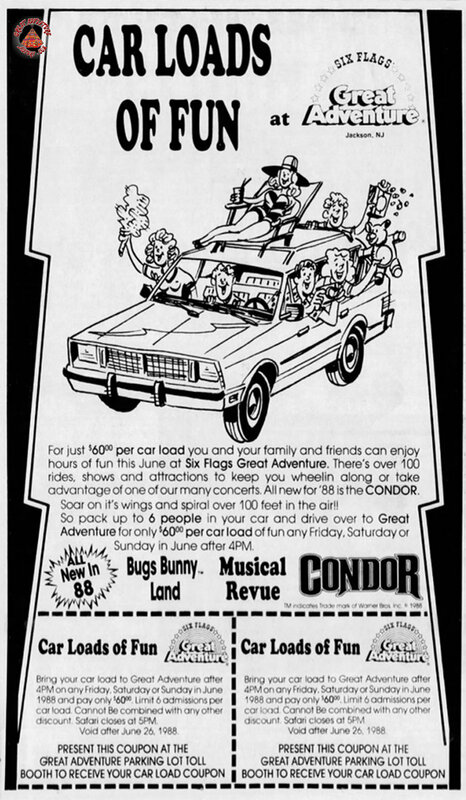 Hey, its a commercial for Looney Tunes Land from 1985! 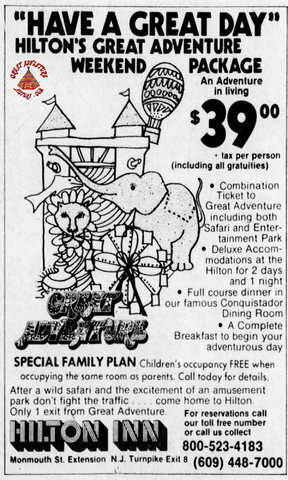 Regarding the WPIX commercial, I totally forgot that they use to offer discount prices after 4 pm - a blast from the past! While work continues backstage on updating our TV and Radio Advertisements, we are happy to share with you the first batch of vintage print ads found in newspapers and magazines through the years. Click HERE to view them all including over 40 newly added ads. 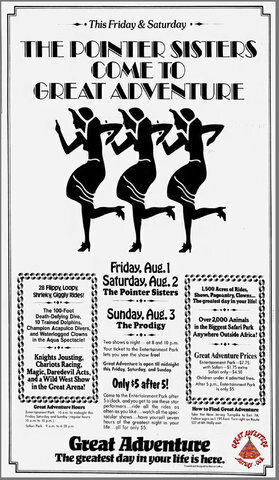 Special thanks to our member Daved Thomson for his research with these advertisements. 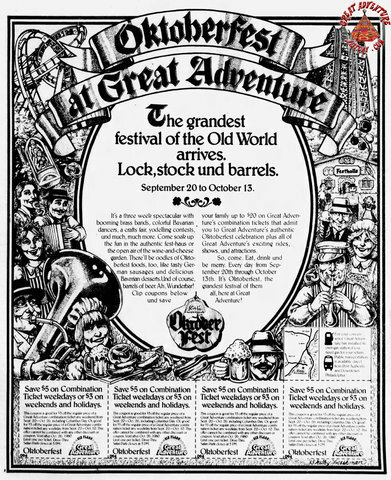 Our Print Advertising Gallery now contains over 175 newspaper advertisements from the 1970s and and 1980s with more to come! Below are some additional samples, but you can view them all HERE.